I been extremely busy so I haven't been around much although I been checking the forums off and on. I'm still planning at working on a few DF things. 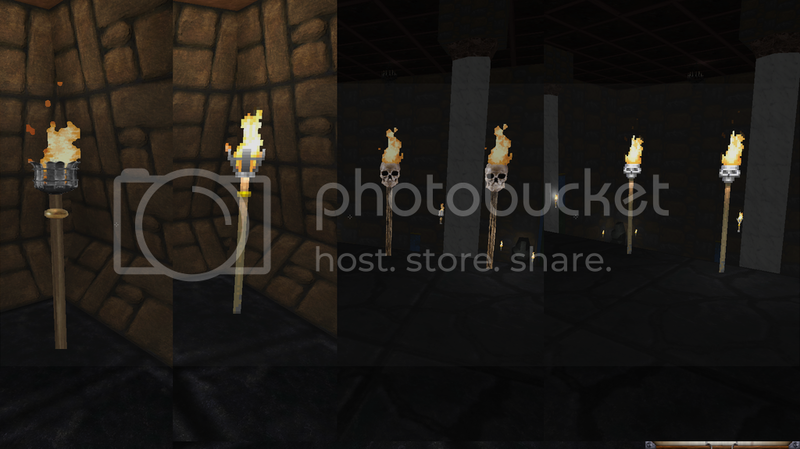 Here's a little gift new torch lighting textures. Last edited by Bloodinfested on Sun Oct 15, 2017 3:05 pm, edited 2 times in total. Right on! A more universal solution than the wall torches I'm adding this to my DFU. They look great. Unfortunately, the download link isn't working anymore. Anywhere else I can get this file?